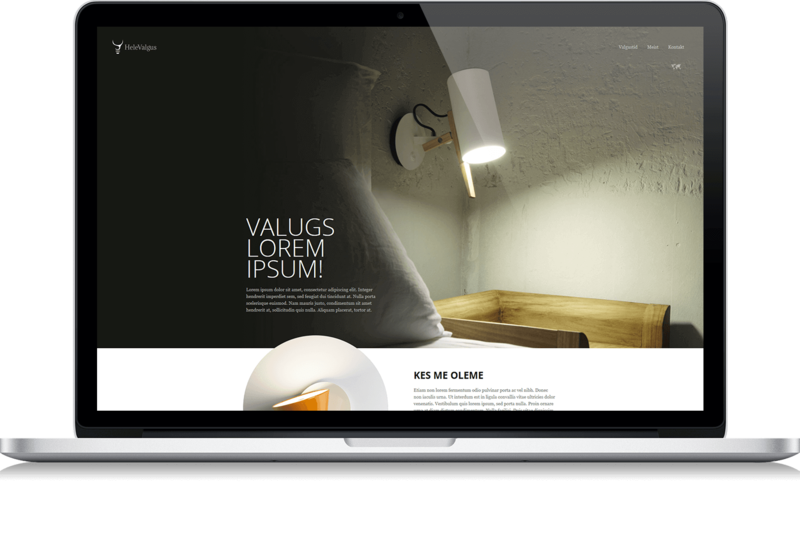 RGB color palette, sharp eyes and 6 year old, but trusty mouse - Together we create beautiful UX oriented designs, from websites to mobile applications. 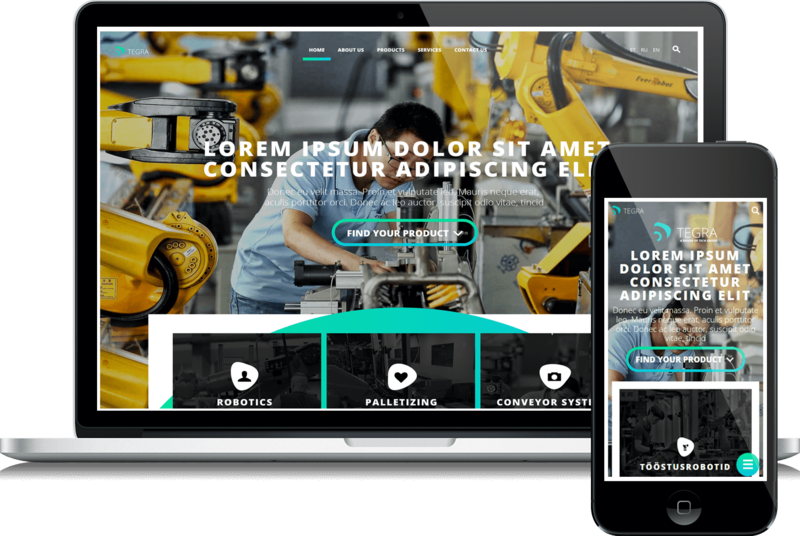 Great visual is nothing without flawless front and backend coding. 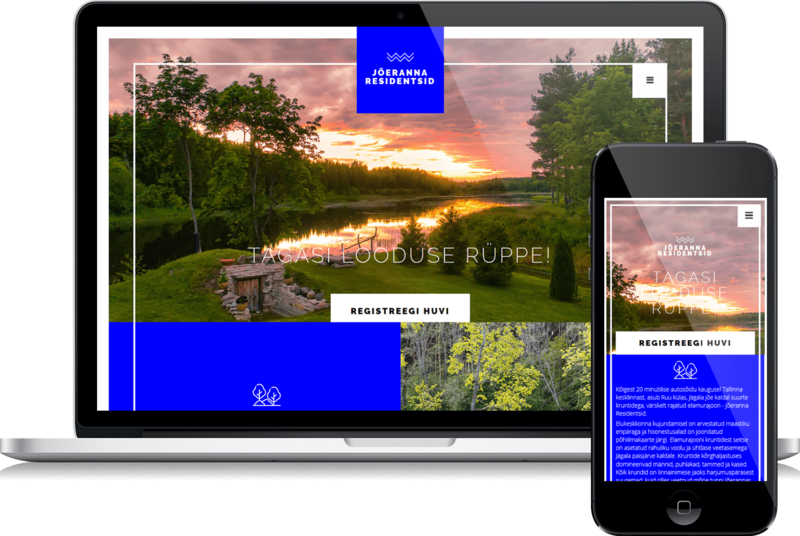 From Wordpresss to VOOG - Quality responsive code with handy content management. Working with other agencies or freelancers helps to keep us sharp and up to date. So there is nothing better to team up for same cause - Create digital awesomeness. Back to nature. Freshly founded residential area, close to Tallinn. 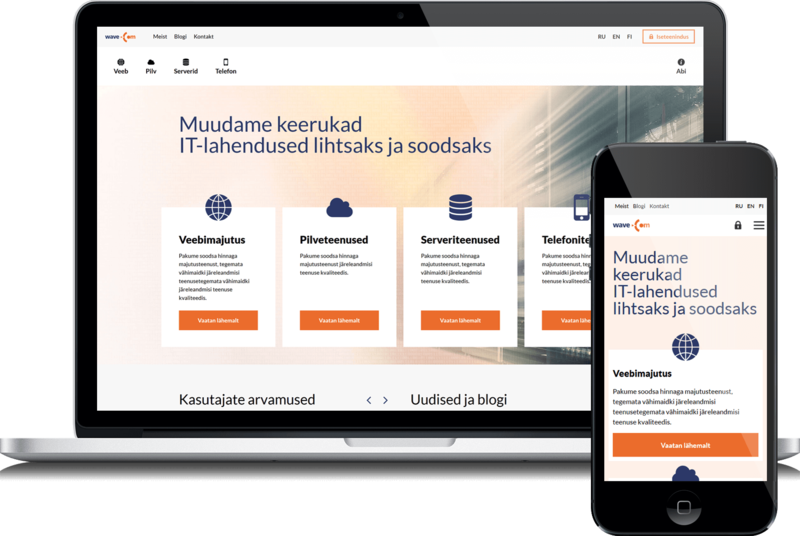 Webhosting, private server, internet connection and so lots more. Lots of www services for home or business user. Telegram is undoubtedly the biggest alternative media source in Estonia. Our goal was having a great tablet and mobile support for future proofing. 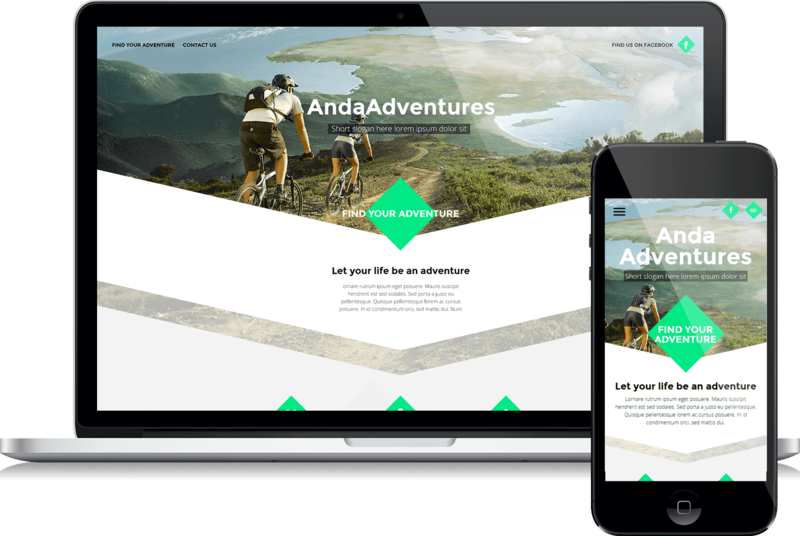 Anda Adventures is located in Philippines, Anda - Helping people to discover wonders of Anda and have an active holiday full of hiking, cycling or kayaking. 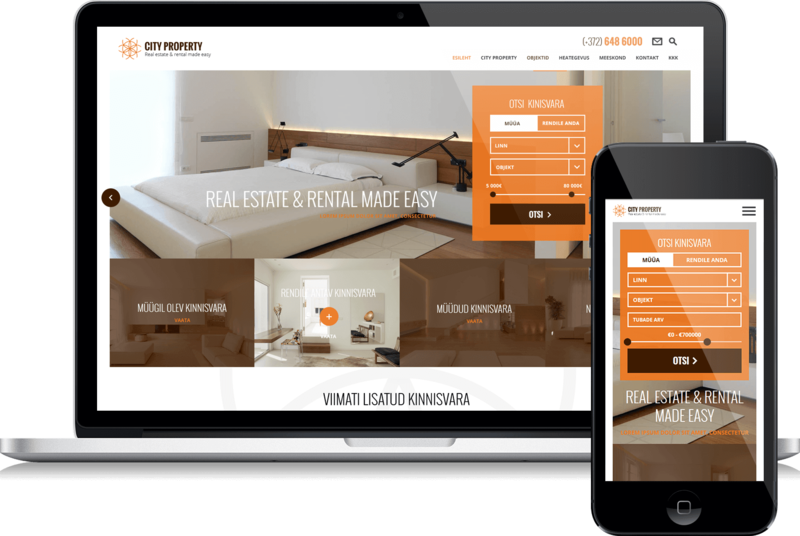 Real Estate & rental made easy. We developd kv.ee plugin for automatically fetching all properties to site, therfore significantly reducing workload on managing the content. Tasty fish dishes from cousy family restaurant, located in the outskirts of old town. Only natural beauty and care products - There is too much chemicals in most of our daily used products! 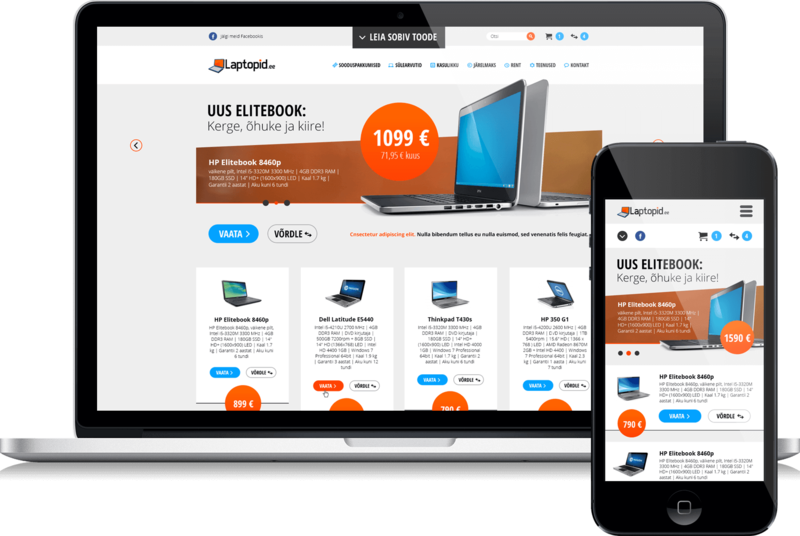 Laptops for every taste and need - New site was aimed to make more direct sales - Upgrade from just product list to e-shop functionality. 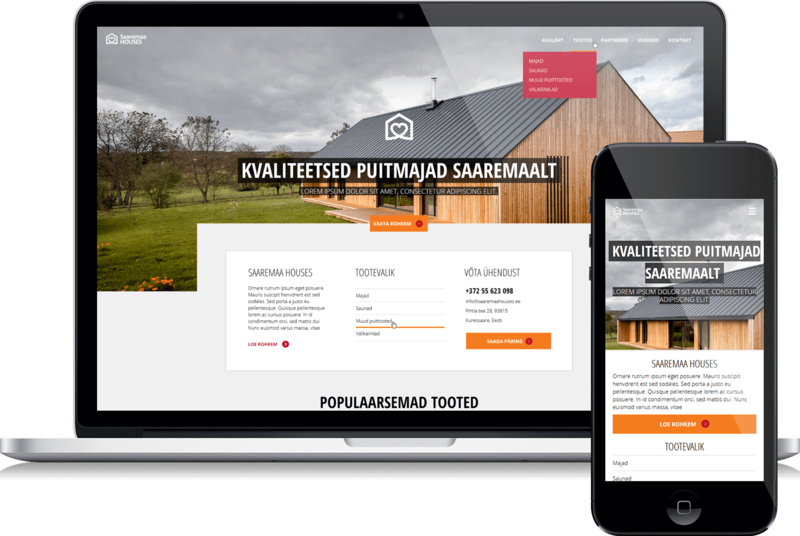 Quality wooden houses from Saarema. From smaller garden units for summer to year-round use modular houses. 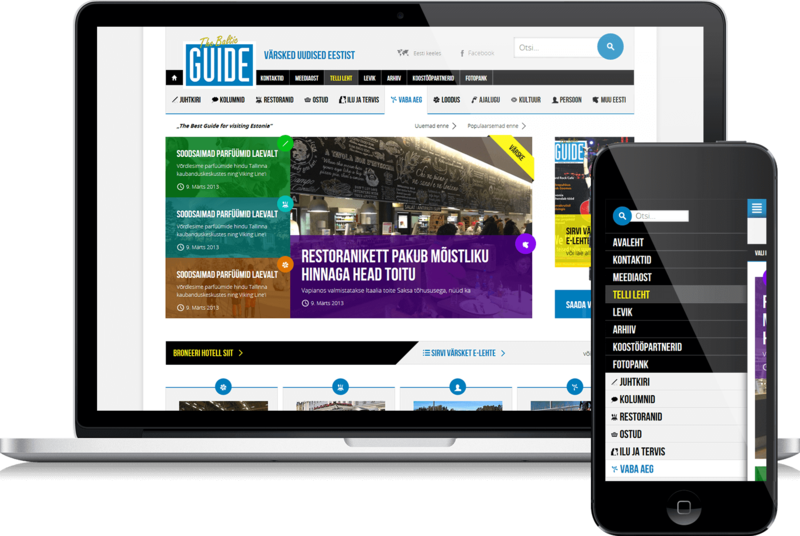 Finnish biggest Estonian tourist guide - All the current topics from one place. 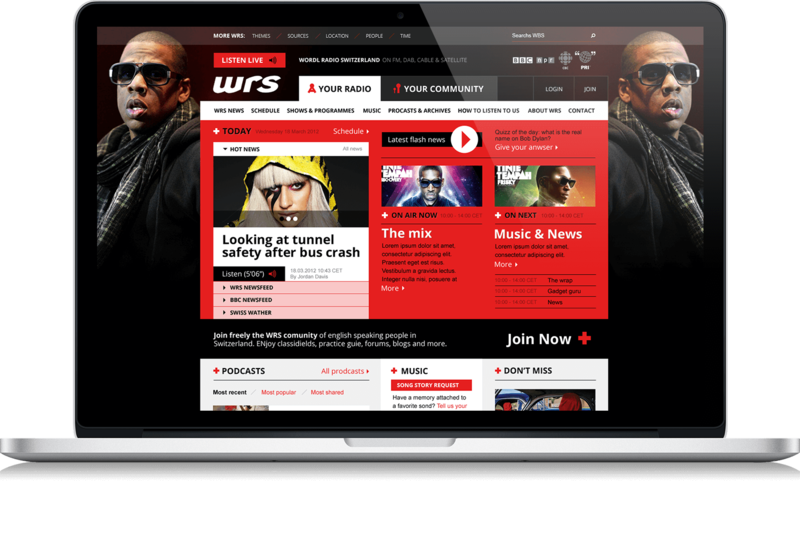 WRS is the English language radio station in the Lake Geneva region. Efficient lighting solutions - Combining client requests, needs and possibilities with long term professional experiences. Established in 2009 - We have tackled numerous exciting projects since - And we're not done yet!